Join us for a fun-filled morning as we cheer on our Girls On The Run (GOTR) girls to SOAR across the finish line and unleash their limitless potential on April 6 at Audubon Park! Packet pickup is THURSDAY, April 4th from 12pm-7pm at the Girls on the Run Office – 7100 St. Charles Avenue. Race Day packet pick-up will start at 7am at Shelter 10 on Audubon Park. 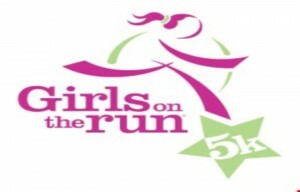 Current Girls on the Run program participants DO NOT need to register for the 5K; their program registration includes their entry into the 5K. If you are a Running Buddy, you must register for the 5K and don’t forget to use the discount code provided by head coach and GOTR NOLA! At Girls On The Run we inspire girls to recognize their inner strength and celebrate what makes them one of a kind. Trained coaches lead small teams through our research-based curricula which includes dynamic discussions, activities and running games. Over the course of the ten-week program, girls in 3rd-8th grade develop essential skills to help them navigate their worlds and establish a lifetime appreciation for health and fitness. The program culminates with girls positively impacting their communities through a service project and being physically and emotionally prepared to complete a celebratory 5K event.